Prior to August 2015, there was no unified system of succession law for those who were domiciled and habitually resident in England and Wales but who owned assets, such as a holiday home, elsewhere in Europe. This caused added expense when dealing with assets in Europe, and it was difficult to predict whether the intended beneficiary would inherit in line with the Testator’s intentions. The best legal advice at the time was for a Testator to have an English Will dealing with assets in the United Kingdom and a second Will drafted in the jurisdiction in which the foreign assets were located to deal with the foreign assets and not to disrupt the English Will, or any other Wills which may have been created worldwide. in the European jurisdiction in a similar way to a vesting assent of English property in the United Kingdom at the Land Registry. Brussels IV said nothing about taxation regimes and it would be a mistake to think that there was any simplification of those; many English law concepts simply do not travel, such as spousal relief for death duties elsewhere or a unified Nil Rate Band allowance. There has been a lot of debate post Brexit as to whether or not Brexit has had any impact upon the Brussels IV Regulation and in particular to those English domiciled individuals owning assets in post-Brexit Europe. However, given that the UK was never a member state for the purposes of Brussels IV but always a third state, where a British citizen elects for English law to be the applicable law, it will still sit with either the country of habitual residence of the Testator (England if the Testator is physically resident there) or another member state which is connected to the Estate of the deceased Testator to deal with the assets in the European Union. funds from the European Union to a post-Brexit United Kingdom. 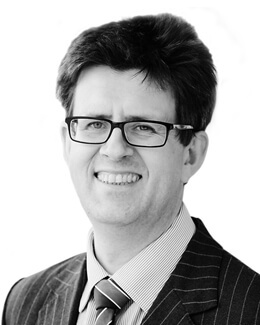 To discuss cross-border succession planning and any other legal advice on Wills, please contact Edward Walter on ewalter@bussmurton.co.uk or 01892 502 320.